My newest design is the Cloria Wrap which is part of the Battle of the Stitches Round 13 designer challenge. I’m so excited to be part of this challenge because it’s a bit different than others in the past. Here’s how the current BOS challenge will work. We’ve put together a blog hop to showcase all the designs. 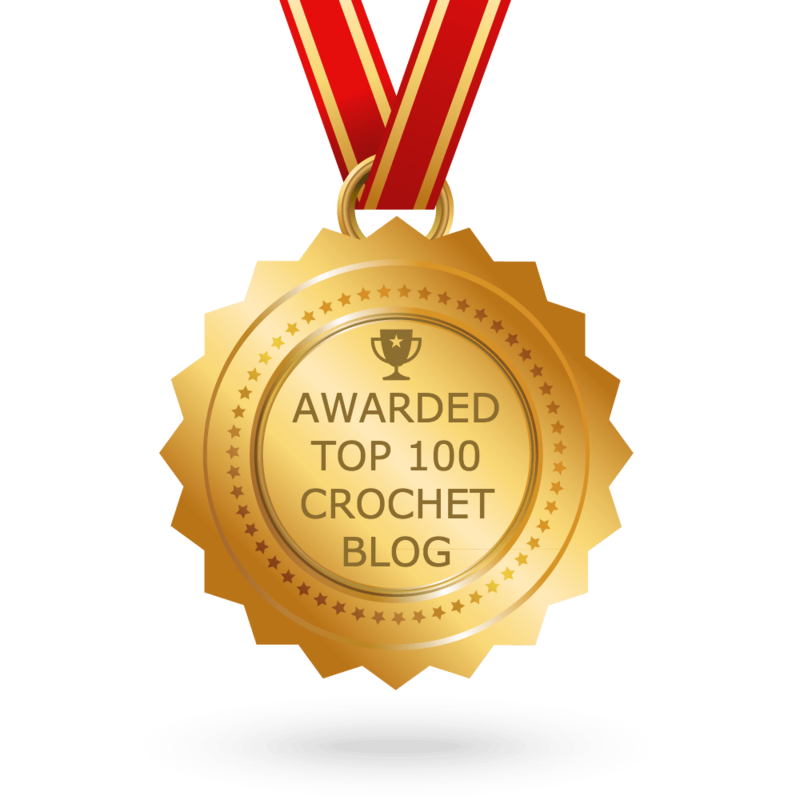 If you’re joining me from Laura Mae’s Crochet, that’s great! If you’re just tuning in, you can start from the beginning and visit this Battle of the Stitches post. 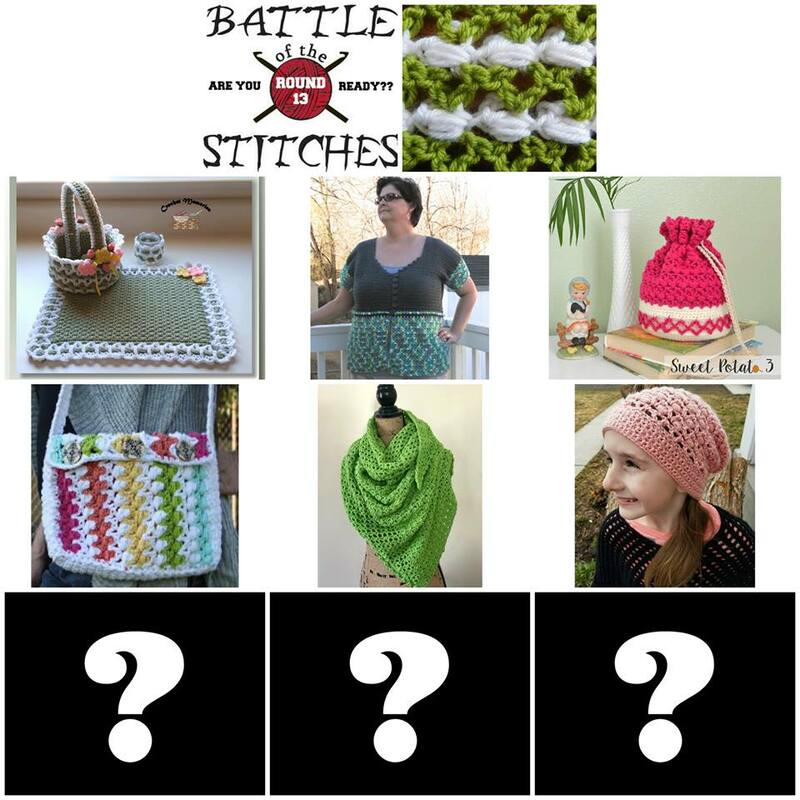 Then follow each post to find out the next pattern that is being revealed. Click on the Ravelry links in each post to vote for your favorites. There will be prizes at the end (read to the bottom to find out!) so make sure you vote for your favorites! First, a little about my design…. Click here to vote for the Cloria Wrap as your favorite. Cloria is a greek name that means “goddess of spring”. This wrap has a unique shape that has a triangular shawl with a long tail – almost like a scarf attached to the side. You will have enough fabric to wrap over your shoulders and neck to keep you feeling like a goddess on those cool spring nights. When trying to come up with a design, I knew I wanted something that screamed spring. I decided to use the Pantone color of the year “Greenery” as my starting point. As part of round 13 for the newest Battle of the Stitches challenge, we used the Slanted Puff stitch so I did the first section of the wrap with that as my main stitch, then I added a second section using an airy stitch combo so it wouldn’t get too heavy. The result is a beautiful wrap in the shape of a scalene triangle. Next on the blog tour is Lisa from Kaleidoscope Arts & Gifts. Head over to her blog to see her design as well as get links to the rest of the blog hop! We are giving away prizes! I’m also giving away 5 copies of my Cloria Wrap, so leave a comment telling me what color you’d like to make yours in! Other designers are also offering prizes, so make sure you visit them all and vote for your favorites! In addition to all those prizes, 5 lucky winners will each receive 1 of every pattern in the round 13 Battle of the Stitches collection! Plus, a gift card to The Silk Drop as well as The Clay Sheep! Make sure you finish the blog hop to find out how to enter! DON’T FORGET……If you love my Cloria Wrap CLICK HERE to head to my listing on Ravelry and add it to your favorites! I fixed the links. Thank you so much for letting me know! You don’t have to enter the twitter option. Any of the options will get you entered, so just by commenting you have a chance. I would love to see this in rust. It would be perfect for fall! I’ll check into it. It wasn’t required so I’m not sure why it’s giving you that. If I have to I’ll remove the twitter option. Kathryn, thanks so much for your patience. The giveaway box is set up so you can bypass the twitter option if you want to try to enter the fb option. This is beautiful!! That color is gorgeous! My natural reaction color is pink, I use it in almost everything because it’s my favorite. But I also want it to be somewhat neutral to go with lots of outfits. Guess I’d have to make two!! One pink and maybe a second cream or light tan one. I would love to make the wrap in a bright yellow. I think this would be gorgeous worked up in a bright blue color! What a beautifulwrap! I love the “Greenery” showcased but would probably get more use out of the “Surfmommy” colorway. This is so pretty! I would go with a rich, dark purple for mine. I think it would be gorgeous using a coral color or maybe a gradient cake. I’d love to make it in purple! I would love it grey. I would love it in either aqua or a Smokey lavender. It’s beautiful! What would a gradient colored yarn look like? That’s what I’d like to try! Beautiful! I think I would make a bright yellow one! Beautiful! – I’d try to crochet it in multicoloured yarn. Beautiful! I love it. I would do mine in either teak or gold. I love it in this green, it’s perfect for spring. However I think I would make one in a light blue. Love it! How about a nice light grey? Yep!!! I would love it in purple. I was sure I commented the day this was poued but can’t find it here now. I love this and would use the same Spring green! By the way, I just made a typo but can’t see it – the blue ink is too faint to read, but I see the red mark, lol) I’d love to make it for my daughter who will be chilly in a late April wedding in a sleeveless navy dress…I’d maybe make it in black? Just for when they have to stand around waiting for pics. I would like to make this in a denim blue. turquoise is my favorite color so I would love to make it in that color thanks for the chance to win! I think I would make it in a sparkly black!